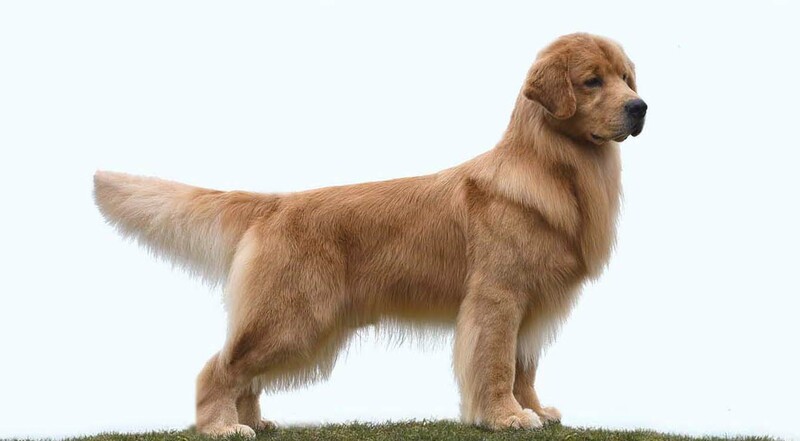 Albert is an athletic, moderate Golden Retriever weighing between 72-74 pounds. His happy-go-lucky attitude makes him a standout in a ring. His effortless movement creates the beautiful side gait that exemplifies correct conformation and balance. He has full dentition and correct scissors bite. He carries a correct coat and has a proper tail set. 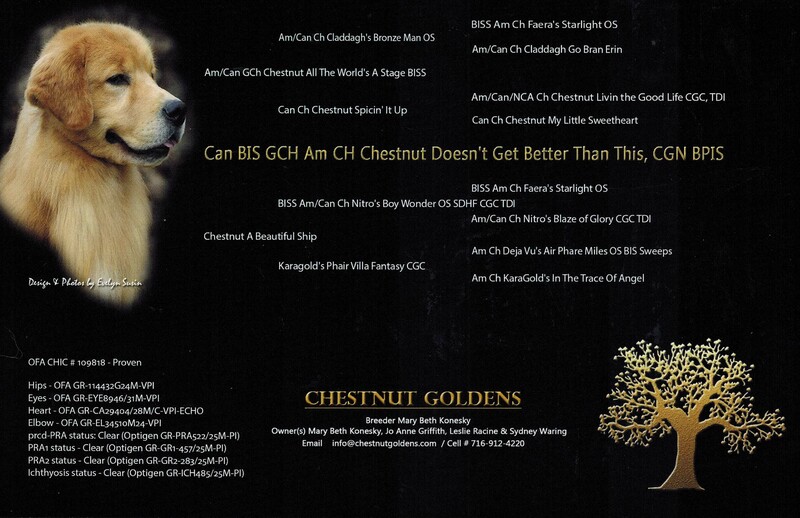 His impressive pedigree is rich with Goldens who have positively impacted the breed. Albert’s show career began in Canada with his co-owner Jo Anne Griffith. He completed his Canadian CH and American CH in a short period of time with limited showing. His American wins (under the direction of co-owner Leslie Racine) include a Best Puppy in Show, 2 Specialty Majors and Group Placements. Albert returned to Canada in 2016 to begin his Specials career. 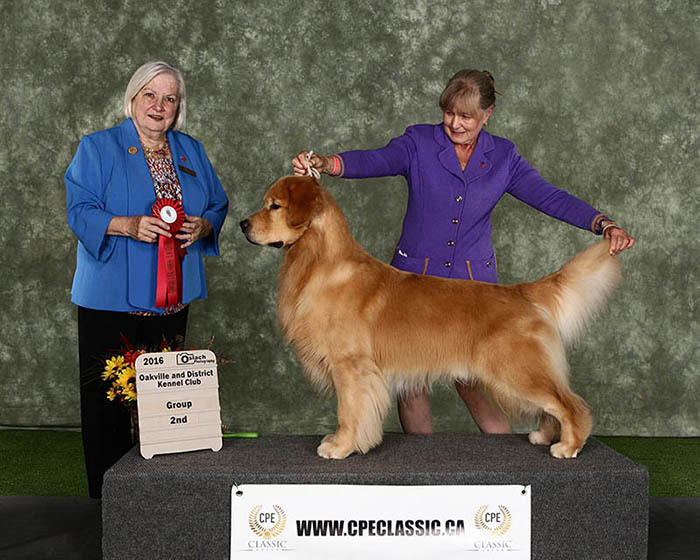 Shown by Hailey Griffith, Albert quickly became Canada’s #1 Golden Retriever and is currently the #5 Sporting dog. 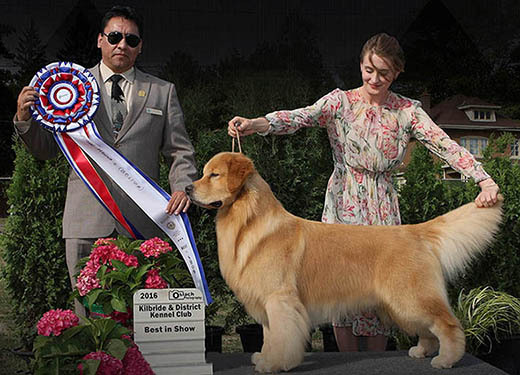 In 6 months Albert has been awarded 2 Best in Shows, 1 Reserve Best in Show, multiple Group Placements (including 11 Group Firsts) and 40+ Best of Breeds. 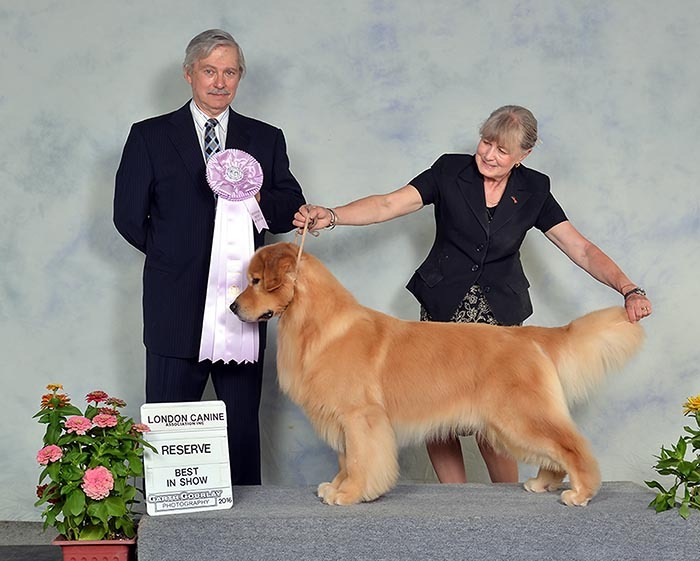 He is a Grand Champion and has completed the requirements for Show Dog Hall of Fame.